Annette and her team at Research Evaluation Consulting (REC) were great to work with for our Habitat for Humanity Impact Study. She was very thoughtful in her approach to our project as well as detail-oriented. We had a very tight timeline and she delivered. The final Impact Study report was exactly what we envisioned. Kavod Senior Life engaged Annette and REC to do a comprehensive evaluation project which included logic models, evaluation plans, data analysis , focus groups and interviews. We did this to help determine the best ways to serve our 400 low income seniors as well as to better document what our outcome measurements need to be. Annette is bright and extremely thorough. She promised what she said she would do. She spent extra time with my team and me at every step to make sure we understood her processes and initial results. She listens and will take feedback as she fine-tunes her recommendations. She helped jumpstart our data collection process. We have asked her to propose a Phase 2 to this project and our hoping the foundation that funded the initial phase will agree to this. I would highly recommend other organizations involved in utilizing a consultant to help them with their data research to contact Annette and REC. Pop Culture Classroom has worked with REC for almost a year. During that time, REC provided high quality services and clear data that has allowed us to refine our programmatic offerings from an informed perspective. REC has given us the evaluative measures to take our work and services to the next level. The Early Childhood Council Leadership Alliance hired Annette Shtivelband and Research Evaluation Consulting (REC) through a competitive bid process to improve our data quality and evaluation strategies, develop better systems for collecting, managing, and utilizing data, strengthen our evaluation capacity, and become a data-centered organization. Annette and her team have done a wonderful job of gathering complex information from diverse and sometimes conflicting sources. Annette is willing to share her expertise to our members at a moment’s notice and adapt to a fast-changing set of circumstances. I hope that we can continue to work with Annette and REC on many projects in the future. 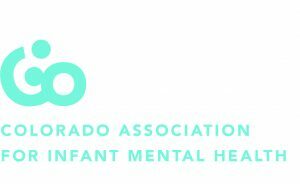 Between February 2017 and February 2018, The Colorado Association for Infant Mental Health (CoAIMH) contracted with Dr. Shtivelband to design and support the implementation of an evaluation, and analyze the results for a new statewide curriculum designed to support the early childhood workforce. CoAIMH identified Research Evaluation Consulting, LLC through an RFP process. It was clear from the proposal that Annette and her team put forth that she had the experience, knowledge, and thoughtfulness to design a comprehensive evaluation for CoAIMH, and this was solidified through our year of working together. Annette is so skilled at translating the details of evaluation and data for a wide variety of audiences. She is easy to work with, patient, flexible yet clear about what will work best, incredibly responsive, and oversees a great team to support the work. Annette delivered a comprehensive and accurate final report for CoAIMH that is currently informing revisions to the curriculum and the delivery methods. She also was gracious with her time by presenting a thorough explanation of the evaluation results to our curriculum team upon project end. I hope (and look forward to the opportunity) to work with Annette again! 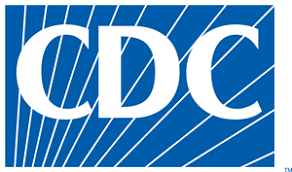 The Colorado School Medicaid Consortium (The Consortium) hired Research Evaluation Consulting (REC) to evaluate our School Health Services Coordinator Grant Program. Annette and her team worked closely with our leadership and program teams to consider the challenges of evaluating our grant program in its early stages. REC was able to assist in updating our logic model, determining the most valuable evaluation method for a case study and providing helpful, actionable recommendations to improve our grant program and improve data collection across our organization. The REC team is responsive and knowledgeable; they truly took the time to research our program recipients and partners and recommend best methods and practice tailored to our specific needs and evaluation. I highly recommend Annette and REC and plan to contract with them for any future evaluation endeavors. Thank you, Annette! Colorado Legal Services’ Survivor Services Unit hired Research Evaluation Consulting (REC) to evaluate a human-trafficking related legal services grant project. After one year of a three year process, Annette and her team at REC have been proven to be detail-oriented, prompt and very organized. They have solicited feedback and clarification appropriately while presenting various options for structuring and implementing the evaluation. We look forward to the second and third years and appreciate REC’s commitment to quality evaluation, including data analysis. I have had the pleasure to work with Annette and her team on a grant for the last year and a half. Their body of knowledge for data collection is unparalleled. They also did a wonderful job with leading our team with ensuring we took all of the appropriate measures to meet our goal objectives. Above all, Annette is friendly and professional. I highly recommend her for any data collection needs one might need. Annette is an excellent data analyst and statistician. She seeks to understand the topic area so she can provide the best guidance for each project. I enjoy working with Annette and will continue to do so in the future. Annette initially worked with us one summer on the development of a cross-cultural survey for use with immigrant workers. We were so impressed with her work that we brought her back the following summer and have continued to consult with her up to the present. She has played an instrumental role in analyzing the data and interpreting the results from this survey. She has also has provided valuable advice on numerous other projects that I discussed with her. I highly recommend Annette. © Research Evaluation Consulting. All Rights Reserved.